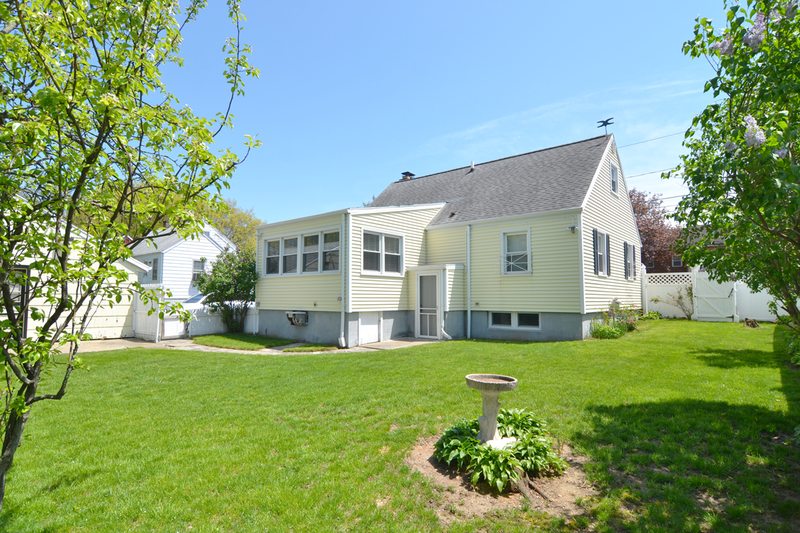 Welcome to 750 Garfield Ave in Bridgeport. 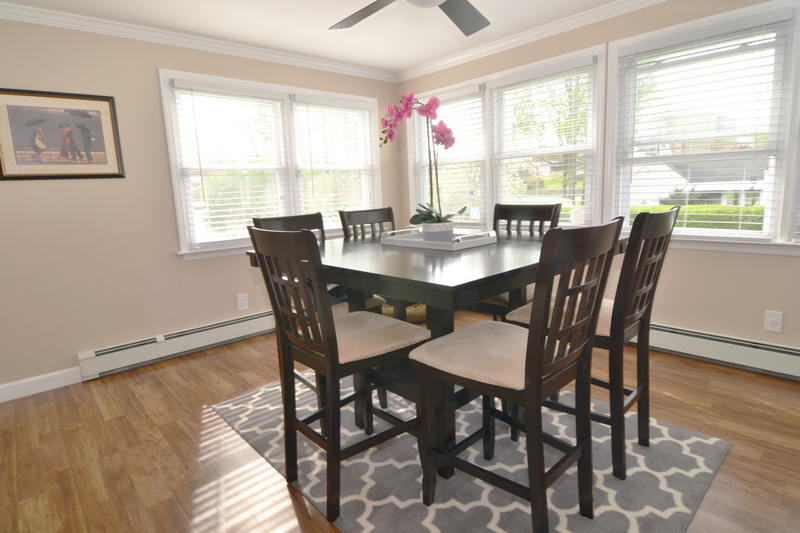 Set in a beautiful neighborhood close to Sacred Heart University and the Fairfield border; this meticulously maintained home is a must see - with all the "must have's" a home should wield, plus a few extras. Let's walk through. Driving through the neighborhood around Garfield gives you a feel of community. With tree lined streets and happy locals going on their morning jogs on a sunny Spring day, it immerses you in the feeling that you live far away from a big city like Bridgeport. Driving or walking down this quite street brings you up to this private driveway and a quaint yellow house with black shutters. Pulling into the driveway, you are welcomed by new masonry on the stairway that leads you into the side of the house. Choose to park in the garage that has space for 1.5 cars or in the ample space the driveway offers. 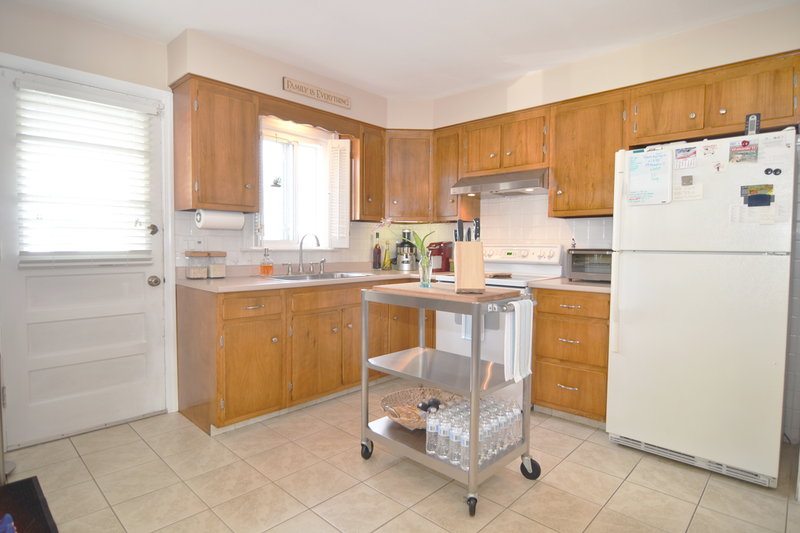 Walk right in to a bright, eat-in kitchen with enough cabinet space for any cook. Kick off your shoes, grab a snack and make yourself at home! Next, enter into the sunroom-turned dining area. This room is a peninsula of light and can be considered a multi-purpose room if a modern homeowner is not interested in a formal dining room. 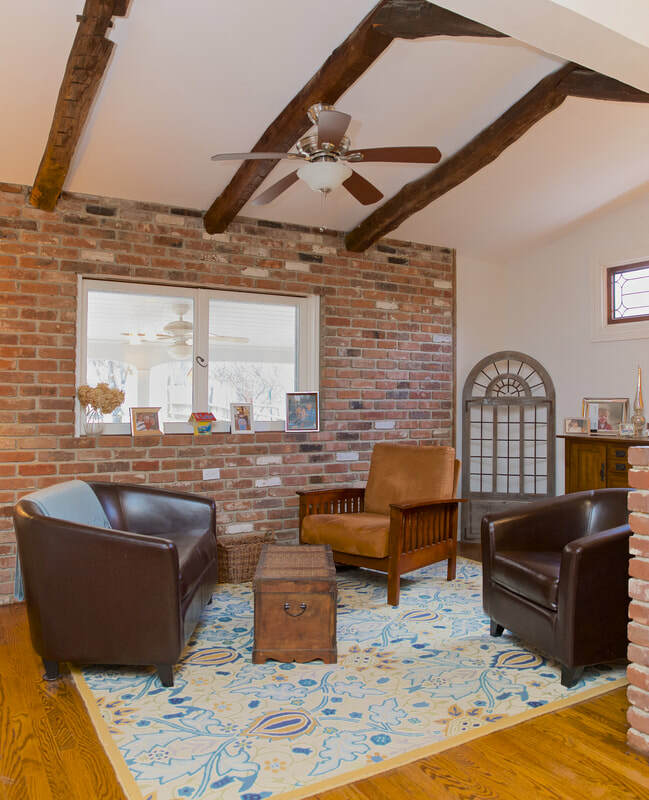 Of course, you can call it a formal dining room or turn it into a playroom for the kids to keep a close eye while cooking or just a relaxing family room in which you can watch a movie or sit down in a love seat and read a good book surrounded by light. The possibilities are endless. If you decide to instead enter from the front door of the house, you will walk into the coziness of the formal living room. Here you have the option of mounting a floating television onto the wall and enjoying a sporting event or your favorite Netflix original or just relaxing by the fireplace. It is in this room where the family memories are built on holidays; playing Pictionary or watching the ball drop with your loved ones on New Years Eve. 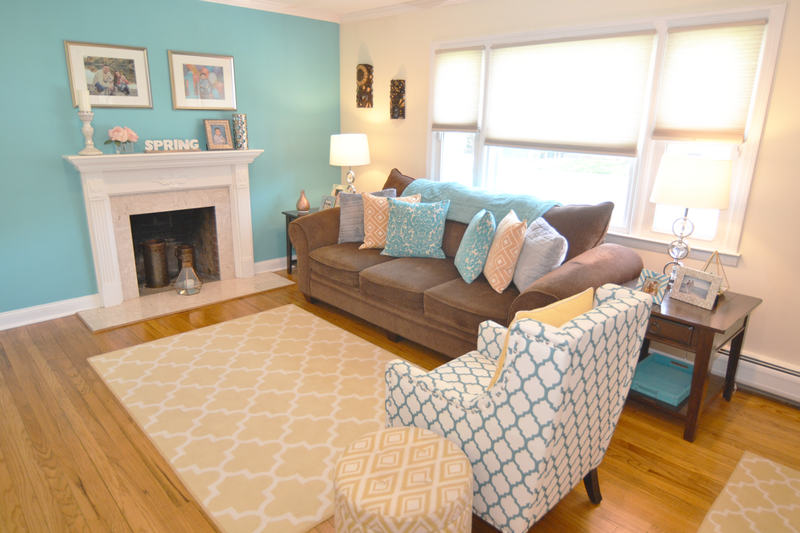 Hardwood floors, a newer ceiling fan, and plenty of natural light compliment the space. From this room, enter the kitchen hallway, which leads to an updated full bathroom flaunting a contemporary look, illuminated by 2 sconces. 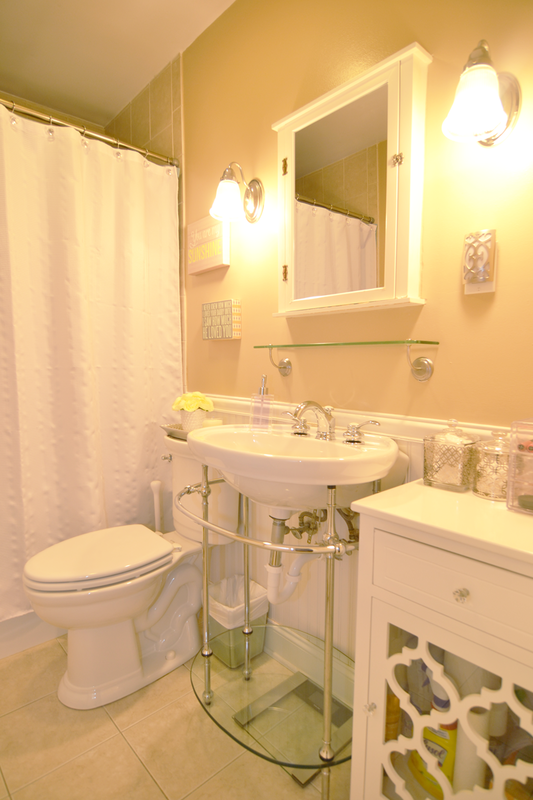 The vanity really makes this room standout, not to mention the quality of all the other improvements. You do not need to touch a thing in this bathroom for years to come. Across from the full bath, you will find the staircase to the partially finished basement. Down here, you will find many great features and if you bring your imagination; a man/woman cave, playroom, workout area, game room, office or just as storage for your collected items. You will also find all the mechanicals that have been routinely serviced, thanks to the proud owners. Washer/dryer are found in the corner of the divided space and the owners gave the option to any buyer to convert the dryer to gas or to easily hook up a gas grill through the walk-out to the backyard. You will also find a generator hook-up down there, since storms are known to knock out power in the area, so choose to hook up a generator for emergency purposes. There are so many positives to find in this basement for any buyer. What would you turn this space into? Choose any of the two generous bedrooms on the main level to call your own, right outside of the full bath. Or if you prefer, call one of the large rooms on the second level your bedroom or office. Plenty of space for you, the kids, an office or guests. You can also make the upstairs into an in-law area, separated from the main level. Outside the home is a fully-fenced, private back yard with plenty to offer as far as space for the kids or dog to run around, BBQs, or putting up a shed to store lawn products in addition to the garage. This flat, fully fenced space is well manicured by the owner. It even has a small stone stove to BBQ over a wood fire in the corner of the lot. The 1 car garage is also right next to a small side patio, so you can enter from the garage to the yard seamlessly. 750 Garfield Ave has everything a buyer is looking for. Just move right in - there is nothing to be done except expand if you so desire. With the many options of entertaining space, living space, privacy and quality of location, what more could you ask for in a home? Come take a look before it is gone!